I loved Airtable from the moment I saw it. It lives in the cloud (obviously) and is a beautifully elegant piece of software. There are still bits about it that frustrate me, but usually they are on their roadmap. The team are very responsive and react positively. His interest is in sophisticated software with a simple user interface. He says that a lot of modern software has simple functionality and simple user interface, for example, a push for pizza app – you push a button and then get a pizza. 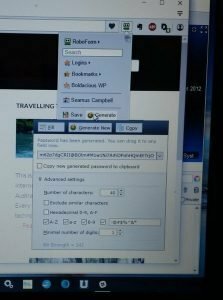 Other software has sophisticated functionality but very complex UI, for instance, Photoshop – extremely powerful software but it takes you a long time to learn the interface to get the full benefit of the power of the software. Before co-founding Airtable, Andrew had worked on Google Maps. The video shows a fascinating story of how Google Maps progressed – we all get used to just how good Google Maps is now, and forget the iterations take him to get to today’s version. One of Airtable’s design philosophies is based on a Google Map’s one, where they give themselves constraints limits and use just a few pieces of user interface. With Google Maps this was very hard to do well – but we have all benefited from the work that has gone into it. 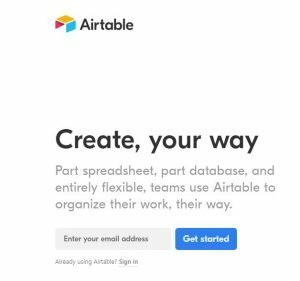 The Airtable team have excelled (pun intended) with this. Airtable has followed the “what if the map was the actual user interface” idea with “what if the spreadsheet was the actual user interface”. The result is an easy, and spreadsheet-like way to build a powerful database. As an easy external user interface for websites (Airtable is embedded in a website but updated via the Airtable interface). It also has a great many templates that anyone can use, the Airtable Universe to showcase great examples. A very elegant piece of software run by clever people.